In Lebanon, they intervened on the issue of the banks (operating here), and they have imposed a siege and severe restrictions on them. They made a list of merchants, businesses, associations and groups considered as terrorists, and prohibiting any financial or bank transaction with them. They also included a number of Lebanese personalities and traders on the sanctions list. And this can continue. We'll (probably) see the names of new people and organizations (on the sanctions list), new restrictions, etc. (Our enemies) will continue on this path. In what context (do such sanctions fit)? We must understand that we are (indeed) oppressed (by these unjust sanctions), (but it is because) we are the strongest (that they were imposed on us). We are not weak and oppressed: (rather), if they attack us (that way), it's because we are the strongest. We are oppressed and triumphant. How is that? 1/ The 1982 invasion was within the framework of a US-Israeli plan for Lebanon, Palestine, (all of) the region and the (final) settlement of the (Arab-Israeli conflict). Who curbed, neutralized and frustrated this project by inflicting it a (stinging) defeat? 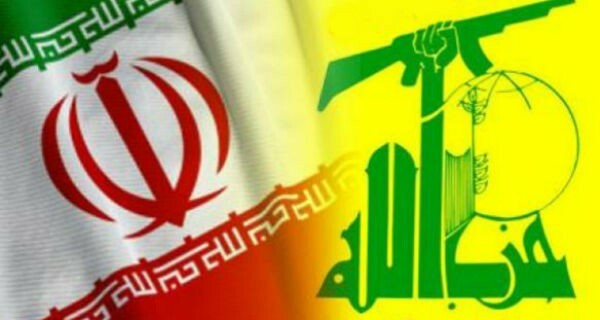 The movements of Resistance in Lebanon, and I don't mean only Hezbollah: Hezbollah, the Amal movement, patriotic parties, Islamic movements, the various factions of the Resistance, with support from Syria and Iran. All this is part of the American-Israeli hegemony project. I have already said in the past that many regional countries were instruments in this project (Saudi Arabia, Turkey, UAE, Qatar...). Once again, the Resistance Axis, the countries of the Resistance and the parties of the Resistance stood up against this war and faced this project. We won the battle decisively in Iraq, we are about to do in Syria and we completely triumphed in Lebanon. In Yemen, (our brothers) still resist victoriously against the continued aggression. Gaza continues to resist against all forms of aggression and blockade. And it's the same for the Islamic Republic (of Iran) and its endurance against the (US) sanctions. Thus, this project also failed. I want to say, regarding the current situation and also the future, that what Trump and his son-in-law Kushner hope, that is to fulfill a historic achievement in the region through the 'Deal of the century' (to finally liquidate the Palestinian cause), who faces (this project and fights to defeat it)? It is the Resistance Axis, the Resistance movements, the countries of the Resistance and the Palestinian people in the first place. Today, after the failure of all these wars (against our region), it is because they are unable (to conduct other wars that they impose sanctions on us, it is their last resort)... What else could they do? Therefore, faced with their failure, and with their inability to launch a war or any other military choice, and also because their security operations and murders have not achieved their objectives – on the contrary, we became stronger, more experienced, more lucid and more determined, as indicated by this quote from Imam Khomeini repeated tirelessly by Sayed Abbas (Musawi, Nasrallah's predecessor murdered by Israel): "Keep killing us, because it awakens the conscience of our people!" The Resistance has become stronger, more determined, the people embraced it increasingly and massively and sympathized with it, when he discovered that (even) its leaders were killed and fell martyrs (Sayed Abbas Musawi was assassinated by Israel with his wife and 5 year old son). Today, when we consider the (Hezbollah) situation here or there... I'll be honest and clear, and I will tell you what I said during our internal meetings, in small committee or with thousands (of Hezbollah members by videoconference), I'll say it today on TV (so that everyone knows it). When (Hezbollah) is having some financial difficulties because of these measures and sanctions, it must be clear to us that this is part of the war. This has nothing to do with mismanagement, negligence or (arbitrary) budget restriction here or there. This is a consequence of the (economic and financial) war that is launched against us and that continues. Because (our enemies) strive to weaken us, to break our will, to impoverish us, to starve us, hoping to see us collapse, disperse and submit to their will (they trive for our complete surrender). Those who are unable to crush us by war, fighting and assassinations imagine that by impoverishing us, starving us, besieging us financially and draining our funding sources, they'll manage to break us and to destroy our (Resistance) movement. First, we must hold on, stay stronger (than them), and not allow these measures to affect our will, our determination and morale. That's the first point. Second, despite all that is happening and everything that is said, their hopes will be bitterly disappointed, because they'll never manage to impoverish us, to starve us nor to besiege us. Those who support us will continue to support us, in all certainty, be it States, peoples or our own (Lebanese) people and the masses of the Resistance in Lebanon. These sanctions will continue. Yes, we will perhaps face some difficulties and certain restrictions. But I can assert, from the position of the leader who manages this question every day and in all its details, that we will continue our actions, our infrastructure will remain strong, sustained and rooted, and they won't succeed in preventing our blood from flowing in our veins, nor the determination (to stay rooted) in our will. Be absolutely sure. And I know (the generosity) of our people and of our families, despite the very difficult living conditions in Lebanon. I will publicly reveal something which I mentioned during internal meetings, which must be known: just a few weeks ago, two months at most, I didn't appear on television to call people to make donations (for our campaign) to help Yemeni children because I did not want to impose on people a greater burden than they could bear. For I know that our people reacts (massively to my calls), despite their hard living conditions, and social and financial (difficulties). That is why neither I nor Hezbollah leaders or any responsible (called to participate in this fundraising for Yemen).